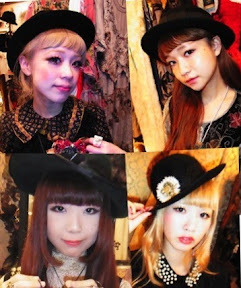 Bowler, fedora, boater, fez or cloche-shaped, for the last few months it's been near impossible to find a series of Dolly Kei related street snaps/coord posts that didn't involve a hat (most notably from the Grimoire and Grimoire Almadel Blogs). They're being worn with pretty much everything. 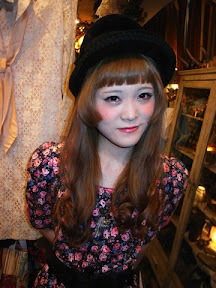 The gothier coords, the lighter coords that border on Mori and Cult Party, and the pattern upon pattern overload Dolly. 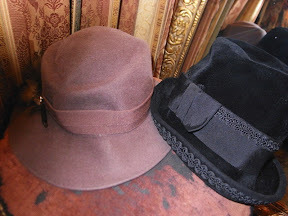 Pretty much any range of Dolly is seeing the addition of a black vintage-style hat. 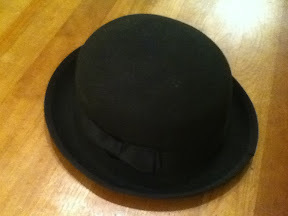 Luckily, vintage-style felt hats are very in style at the moment for mainstream fashion, so if you can't find yourself a lovely vintage piece, you can probably find one easily elsewhere. I've seen various styles at stores like Forever 21, Le Chateau, Urban Outfitters and H&M. What's great about a relatively simple accessory like this, is that you can easily add your own embellishments. There's no reason why you couldn't add brooches, a cameo, feathers, ribbon or a scarf. Anything really! And lastly, a couple of snaps from the Grimoire staff in lighter variations. 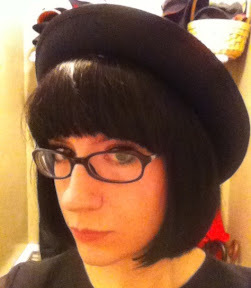 I'm so happy that felt hats are a trend right now. 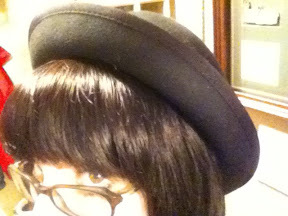 I'm such a hat fiend! I've the same H&M hat! PS.Finally, after following you in silence I've decided to pop-up so... this is my newborn tumblr account (http://revenant-fashion.tumblr.com/) The very first post is for you. @Miss Lumpy- Goodness, I know right? And so many variations! One of the many things I love about fall is the return of hats!